I love apple picking time! Each September, one of my favorite memories was when we would take our kids to the apple orchard with my grandma. We would pick apples, take a hay ride, eat an apple dumpling or turnover...YUM, and even feed the goats. I miss that tradition now that she is gone. 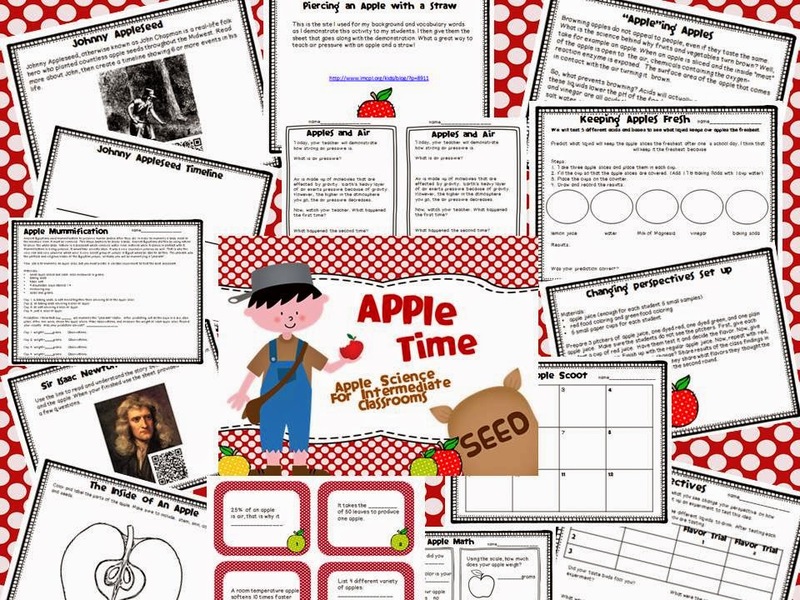 When I taught little kids the apple theme was always a way to tie everything together, but there was never much for our older students to actually do that was interconnected. Now there is. Check out my Apple Time Science For Intermediate Classrooms. Apple Time Science For Intermediate Kiddos...I can't wait for September!